Kitchen soffit removal and disposal isn’t exactly a walk in the park. The truth is, this is very time-consuming and laborious work. Although it is relatively straightforward, it’s definitely not an easy DIY job. Now, the actual tear out isn’t all that complicated. But, what follows after will require some serious carpentry and electrical wiring skills. This is what makes a kitchen soffit removal and disposal a real challenge. Before you bring in your tools and start ripping things down, you should first plan for the enormous amount of debris you’ll generate. Too often, homeowners and others alike just don’t amply plan for the aftermath. They focus on the finished product. And, it isn’t until they can’t avoid it they must deal with all the material debris. Make no mistake about it, a kitchen soffit removal will generate a whole bunch of junk. What’s more, the replacement process will only add to it. 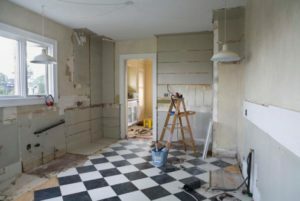 So, be sure to schedule remodeling debris cleanup before you start your project. Cover the counter and floor. The very first thing you need to do is protect the kitchen counter and floor. Cover them with drop cloths. And, be sure to remove anything that’s hanging or stored underneath the soffit. Cut into the crease along the ceiling. Next, you use a ladder to position yourself right by the soffit itself. Use a utility knife to cut into the crease between the top of the soffit and the ceiling. Exercise caution so you don’t damage the ceiling. Then, use a reciprocating saw to start to cut the framing down. Conceal any wiring or mechanical systems. Once the soffit is out of the way, you’ll see some electrical wiring and/or mechanical items which the soffit previously hid out of sight. You’ll have to reroute these and conceal them again. 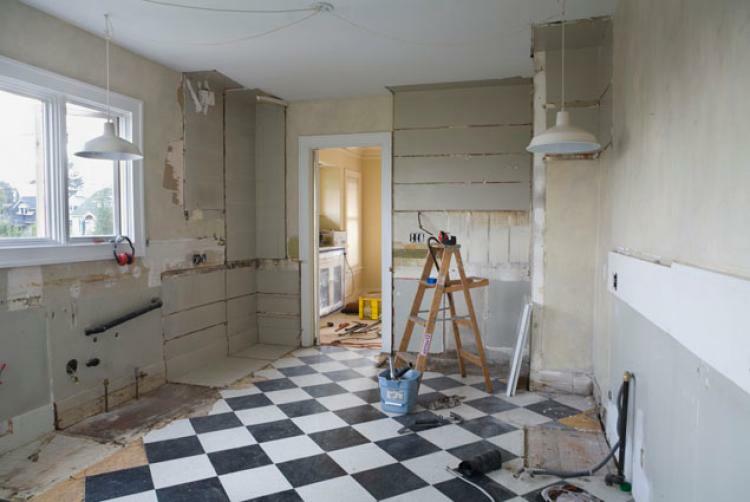 When you need remodeling debris removal done for you, just phone 800-433-1094 or visit Junk Garbage Removal.